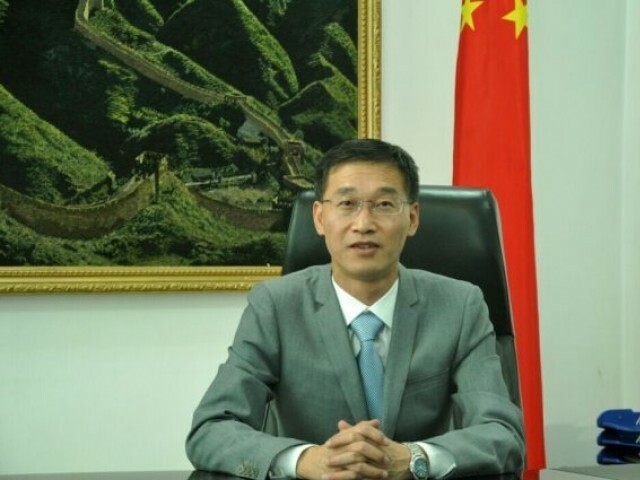 ISLAMABAD: Ambassador of China to Pakistan Yao Jing has urged the Pakistani nation to support the China-Pakistan Economic Corridor (CPEC) project for progress and economic stability of the country, saying any doubts about it are baseless. He said as Pakistan had geographical importance, a strong Pakistan would prove beneficial for the whole region. The Chinese ambassador said that his country had always worked towards strengthening bilateral relations with Pakistan. “CPEC is the best project for expanding economies of both the countries,” he said. “The project lays special emphasis on improving agriculture, human resource development and standard of education in Pakistan. He said that China was bringing its trained labour into Pakistan and at present 10,000 Chinese labourers were working on CPEC projects. “Most of the jobs opportunities will be provided in local districts of Pakistan and efforts will be made to ensure that minorities also come forward,” said the ambassador. He highlighted that during the visit of PM Imran to China talks were held on the economic zone and said a final decision would be taken during the JCC meeting next month. He said the path for other countries to invest in CPEC was open. “We want Pakistan to be economically dependent,” he said, hoping that the new government would pull the country out of poverty and put it on the path of progress and prosperity. Khattak stressed the need to work hard on technical education. “We have engineers, who are not practical,” he said, urging the government to table a bill for imparting practical training to the engineers during vacations.